IDA has secured hotel room blocks at three separate hotels. Each hotel offers its own unique experience of Portland and all that this incredible city has to offer. Whether by walking or by taking the Portland MAX light rail, all hotels are close in proximity to the Oregon Convention Center where the DyslexiaCon19 will be taking place. All registered attendees will receive a complimentary pass on Portland's Light Rail Max, streetcar, and bus system to ensure ease when traveling. Hotel blocks will be available for reservations this spring. Located in the heart of the city, Hilton Portland Downtown has recently been redesigned with an inviting, vibrant lobby and contemporary rooms. It's only a short walk to downtown Portland’s business district, exclusive tax-free shopping, exciting entertainment venues and the MAX Light rail, just one block from the hotel. Whether conducting business, keeping up with a fitness routine or looking to spend quality time with your family, the Hilton Portland Downtown is sure to make the most of your stay by offering the services you need, the amenities you expect, and the extras you deserve. The newly renovated DoubleTree by Hilton Hotel Portland is conveniently located within walking distance of the Oregon Convention Center, Moda Center, Portland Memorial Coliseum, and the Portland MAX light rail, located directly outside the hotel. You're sure to love the proximity to downtown Portland, delightful views, and modern amenities. 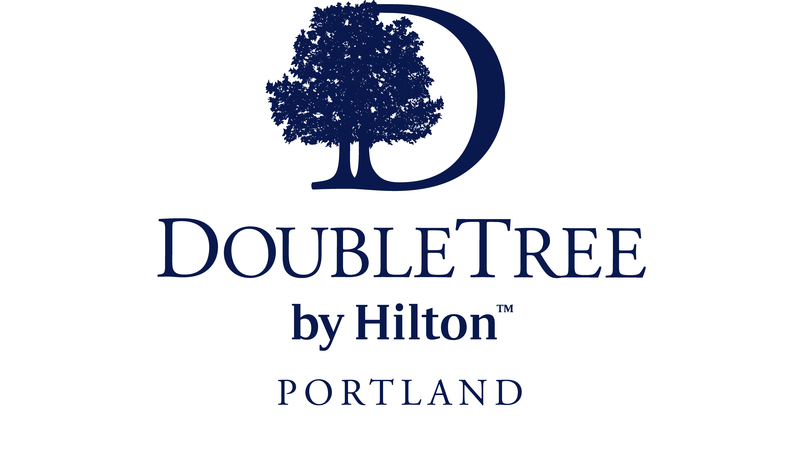 The DoubleTree by Hilton Hotel Portland is a sustainable hotel that practices ongoing environmental initiatives including community outreach, waste reduction, energy efficiency and localized purchasing. Crowne Plaza Portland Downtown is as vibrant and dynamic as the Portland cityscape around it. The amenities are designed to keep you productive and happy, combining function and style to create a signature hotel stay for a new generation of traveler. The Crowne Plaza Convention Center is the only downtown hotel that offers complimentary airport shuttle. It is also steps away from the Convention Center. In your room, you'll find luxury amenities including refrigerators & microwaves, and breathtaking views of the city. Experience a blissful night’s sleep with aromatherapy amenities & premium bedding.